Jonathan Cochran serves as the Vice President of Investment Strategy and Analysis. His duties include deal structuring, transactions, financing, and analysis of our current development, recapitalization, acquisition, and disposition efforts. 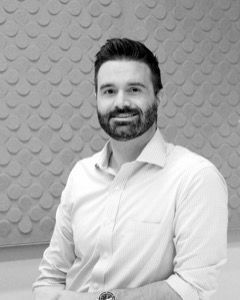 With over 12 years of real estate experience, Jonathan touts expertise in multifamily and commercial. Prior to Lyon, Jonathan held the position of Financial Analyst for three years at The Irvine Company, and two years at Lewis Operating Corp. There, Jonathan focused on financial modeling for various projects that include new office development, individual tenant lease structures, lease-up strategies, and retail development projects. Jonathan is a graduate from the California State Polytechnic University, Pomona and has a B.S. in Business Administration with an emphasis in Finance, Real Estate, and Law.